There was one thing I have done recently to go from being a sleeper- inner (that should totally be a term) to a morning person. I use the term "morning person" lightly because in my mind a morning person is chipper and excited in the morning; ready to start their day. Although I am up and out of bed, I would not say I was chipper. I am definitely needing my coffee. I have a list of a few things that I have done to help get myself out of bed and get the day started, however, I feel that their is ONE thing that has made the biggest impact on my morning routine. I think even if I didn't do the other things on my list, this one thing would still get me out of bed. So what is that one thing? Why what, you ask? My why. What is my why for waking up and getting myself out of bed early. When I came up with my why and started reminding myself of it every night before going to sleep and every morning when the alarm goes off, getting myself out of bed has been much easier. Everyones why will be different. My why is because I want to get as much work done on my computer before my daughter wakes up, so that during the day, I am not on the computer much. I want to give her more focused attention. When I think about my daughter and realizing how fast time goes by, I do not want to miss much. But I also know that in order to succeed and achieve the goals I have set for myself, I need to work. I need to be on the computer. So waking up early, before my daughter, is a way for me to balance my day between work and family. 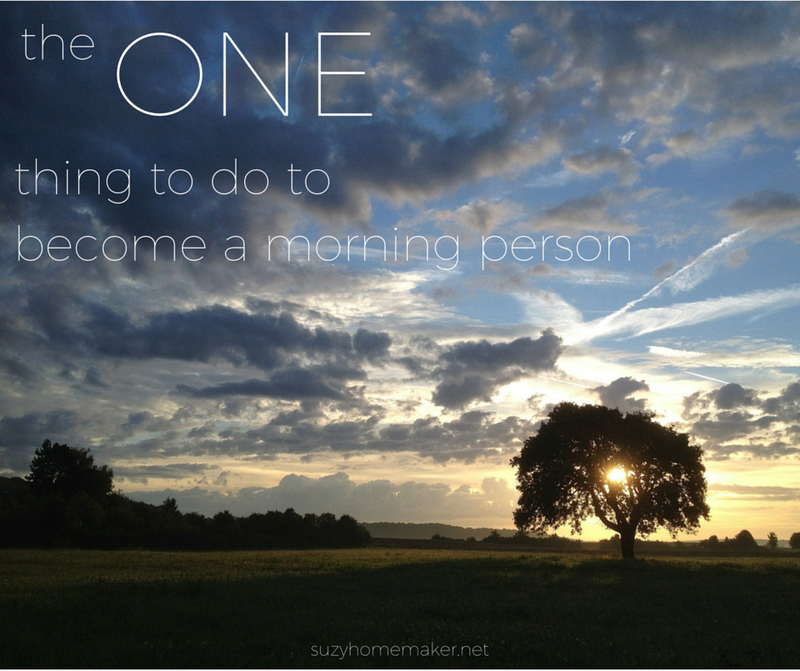 What is my why for getting up early?